Getting you back in the game of life. Feel empowered by getting control of your health. 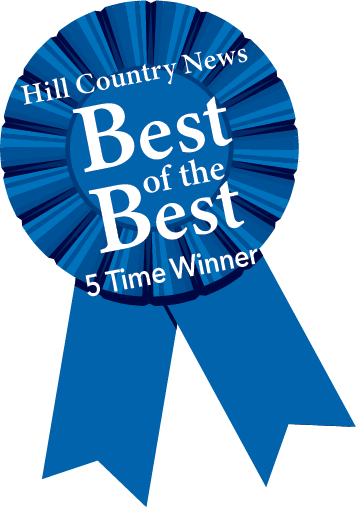 Voted BEST Physical Therapist by Hill Country News. The goal of a physical therapist is to promote the patient's ability to move, reduce pain, restore function, and prevent disability. Our goal is to get you back in the game of life. A certified hand therapist is specially trained in the rehabilitation of injuries to the fingers, wrist, forearm and elbow whether the injury is acute, chronic or post operative. This will help improve skills, coordination and balance. For athletes, working with specialists is important if they want to prevent the risk of serious injury and enhance their sporting performance. They will improve areas including their speed, power and mobility. We want to empower you to take control of your own health and ultimately your life! Our goal is to teach you the tools you will need to be successful once completing your individualized therapy program. Before surgery, I struggled with building strength in all of my Olympic Lifts. Michael’s therapy began to rebuild and strengthen my shoulders in each position and I was able to match and eventually beat all of my pre-surgery lifts within 6 months. Mike paid particular attention to the quality of movement throughout my recovery knowing my goals were to continue competing as a CrossFit Athlete. With his help, I was able to compete in CrossFit again 8 months post surgery. There have been bumps in the road over the last 20 months and with each hiccup, he has been there to help assess and direct me towards a stronger overhead position. Once you have your evaluation appointment, please download the New Patient Forms. **If we are treating you due to a Workman’s Compensation injury please bring in your adjustors name, phone number and your claim number. As a physician there is always a question of who or how your order for physical therapy will be interpreted. I have had the good fortune of finding a very high quality, professional and helpful staff at Tillman Physical Therapy. I would recommend them to my other physicians friends looking for a partner in the treatment of patients with complex pain and sports injuries. No fake and bake here - just honest superb treatment.